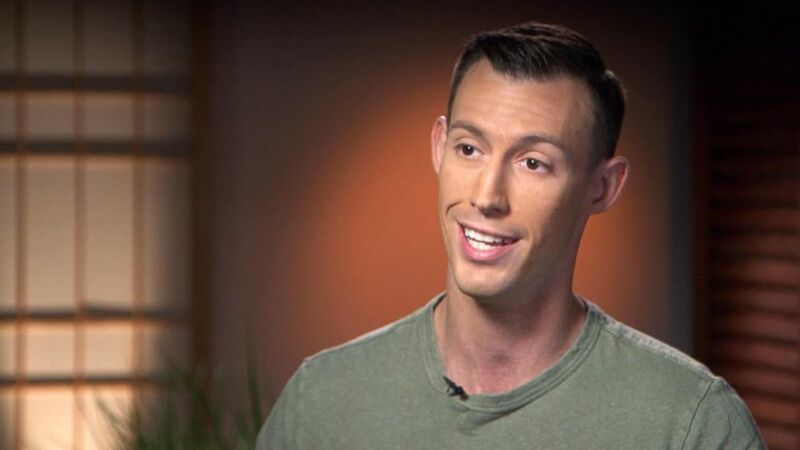 A retired U.S. marine who lost both of his legs in Afghanistan is sharing the inspirational story of how he overcame adversity to ultimately be able to provide hope to fellow veterans everywhere. Staff Sgt. Joey Jones of Peachtree City, Georgia, served in Afghanistan in 2010, where at the age of 23 he took part in "what would be the deadliest deployment in, in our job field's history," the vet said in an interview with "GMA" co-anchor Michael Strahan, as part of Strahan's upcoming documentary series "Religion of Sports." Jones told Strahan he was able to find hope after returning home from the war through his passion for NASCAR, which brought new purpose into his life after combat. "That sport opens its doors and brings you in," Jones said, "in a way that nothing else can." While in Afghanistan, Jones had one of the most dangerous jobs in the world: a bomb tech, or someone who disarms explosives. On Aug. 6, 2010, Jones stepped on an improvised explosive device, setting off a blast that resulted in the loss of both of his legs. "It's so loud you don't hear anything," Jones recalled of his experience. "The cloud of dust is so thick you just see the color tan. When I landed on my back, I knew what'd happened." "My immediate reaction was to look down, see how much of my legs were left and where I needed tourniquets," he added. Sgt. 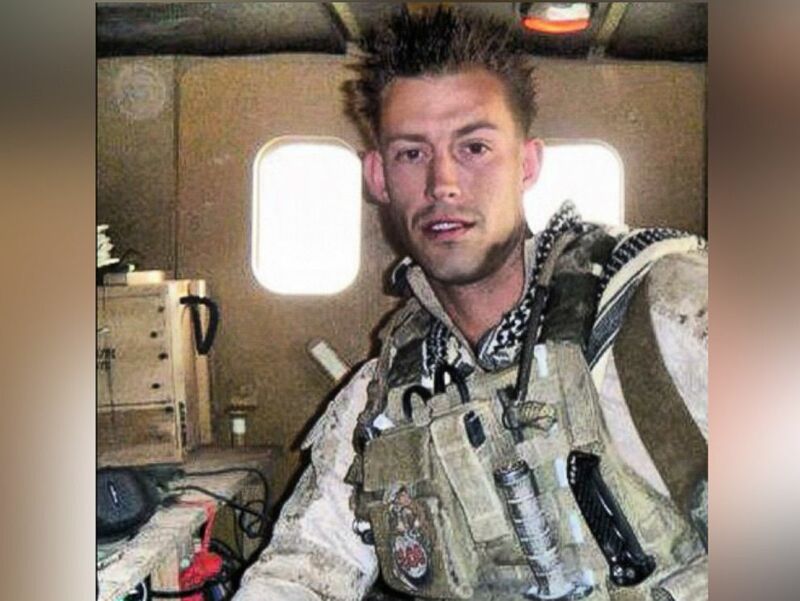 Joey Jones of Peachtree City, Georgia, served in Afghanistan in 2010. In Aug. 2010, Jones stepped on an IED and lost both of his legs. Jones then underwent more than two dozen surgeries and months of grueling physical therapy. When asked how he was able to overcome so much trauma, Jones said, "I think instead of getting over it, you learn to appreciate the things outside of it." "I lost my legs, but I have a seven year-old son and wife," Jones said, "and I gained those, you know, through this recovery." "Learning to adapt and overcome, that's what the Marine Corps's all about," he added. Former U.S. marine, Sgt. Joey Jones, lost both of his legs in Afghanistan, but found new purpose in life and shares his inspirational journey with veterans. Jones now uses his personal story to inspire hope in fellow wounded soldiers and to help them cope with returning to civilian life after combat. 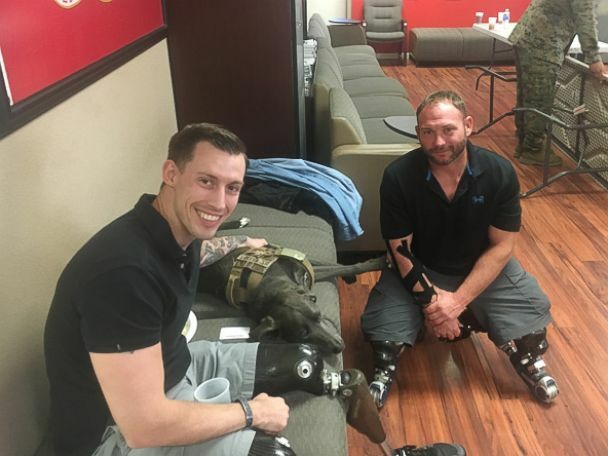 Jones has worked with more than half a dozen veteran advocacy groups including Marcus Luttrell’s Team Never Quit, Taya Kyle’s Chris Kyle Frog Foundation, Zac Brown’s Camp Southern Ground, and Randy Couture’s Xtreme Couture G.I. Foundation, he wrote on his website. Former U.S. marine, Sgt. 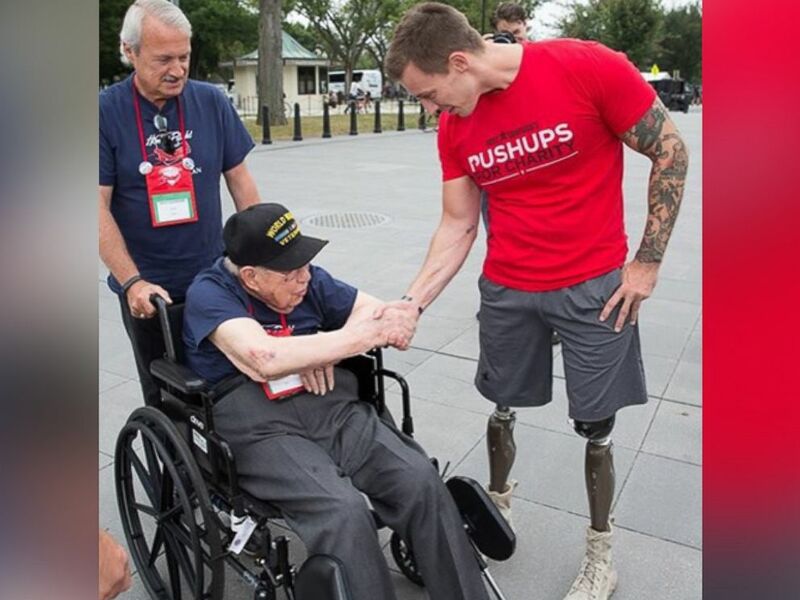 Joey Jones, lost both of his legs in Afghanistan, but found new purpose in life. "Having adversity, having something--a mountain in front of you that you choose to walk over and not around--that's happiness," Jones said. "I would love to be able to do things physically for the people I love. But if it took losing my legs to make the guy I am now--which is half of who I wanna be, you know, in character--and I'm still on the way, then, then hey, I'm where I need to be with the legs I need." Strahan's "Religion of Sports," co-created with Tom Brady and Gotham Chopra, premieres on Nov. 15, 2016 on the AT&T Audience Network.